Having a deck where you can sit and enjoy an afternoon or evening is a luxury that should be fairly simple – regardless of space. However, if you have a small deck you might find it difficult to “fit” in what you need. 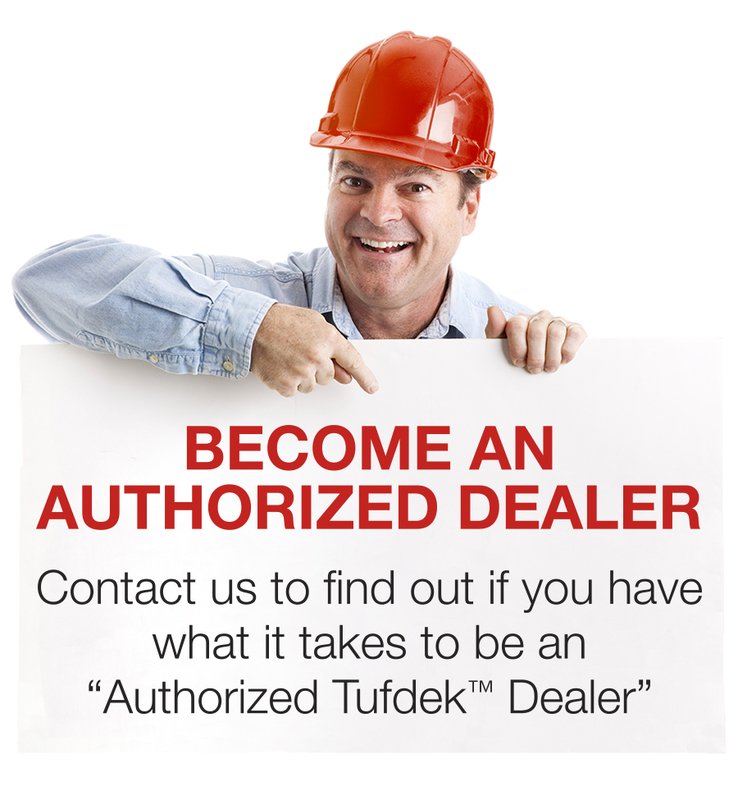 The Tufdek team has pulled together a few ideas to make the most of a small deck space for maximum enjoyment. While we would all love a fully-equipped outdoor kitchen on your vinyl deck, cramming it into a small space may just make it feel cramped. Buy the correct size grill for your space and enjoy the extra room, even if this means forgoing some extras. Fortunately, there are some great “little” barbecues out there. Less square footage on your deck means looking for ways to use vertical space as well, such as vertical gardens for herbs and flowers. Shelves can be used as well, or an old bookcase repainted for outdoor use. Get crafty with an old wooden ladder on your deck that can support small plants. Side table plus planter or a bench with storage – any time you can get a piece of deck furniture area to take on more than one role you have saved yourself some space. Additionally, it can help make the area feel bigger, as well as reducing clutter. 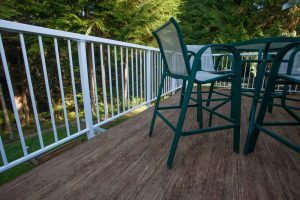 Arranging the primary elements on your deck surface (i.e. furniture) around the edges leaves more space in the middle. 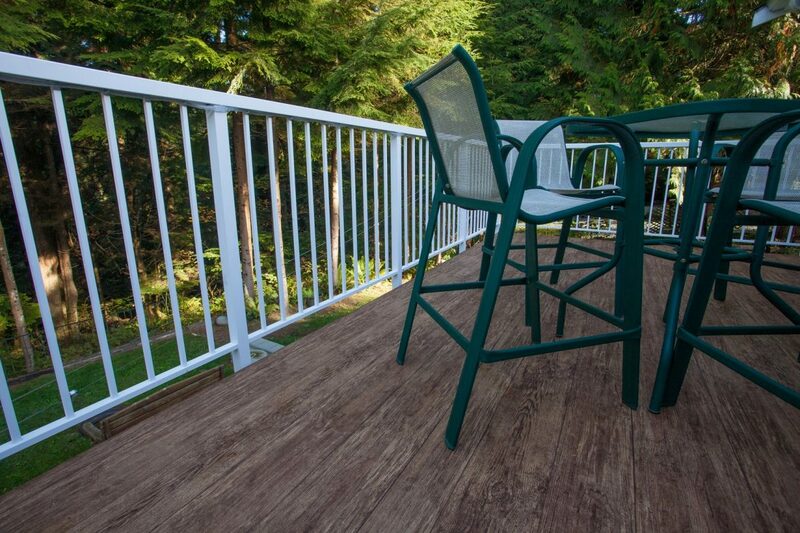 More space helps small decks feel roomier. However, you might find that grouping your dining furniture at one end of your small deck makes the remaining space feel bigger. Feel free to experiment! When surrounded by large, open space, small spaces can feel even smaller. Try closing in part of the deck with an arbor and some climbing vines to add privacy and some shade. The same works to add greenery around the periphery – such as on the railings or in the corners. Adding more light to darker spaces helps small deck spaces feel larger. Find some eco-friendly solar lights, paper lanterns, or even tea lights inside of mason jars to increase the level of illumination. Adding glass railings to let light through (and enjoy the view) can have the same effect. A bit of color here and there adds more visual interest to a small deck space, so choose boldly-colored planters, cushions, or lightly-patterned outdoor rugs. 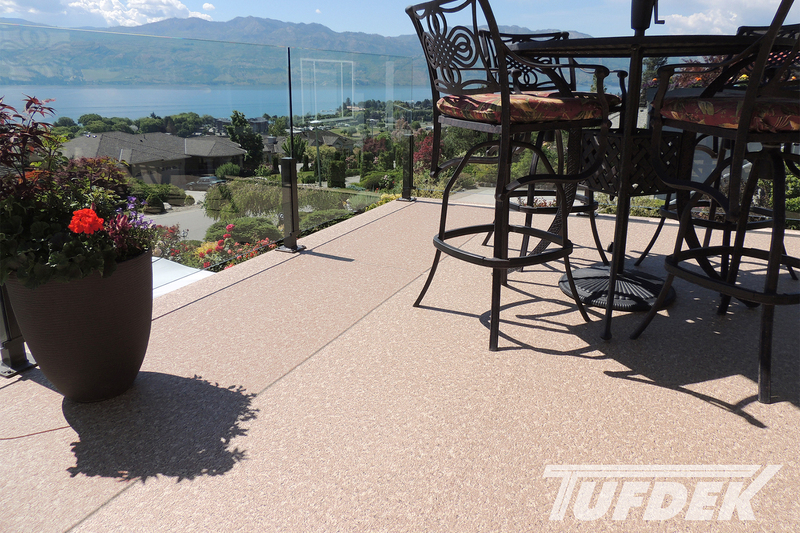 Of course, the first step to a great vinyl deck is to have a good surface – check out Tufdek™ vinyl decking products to revitalize your tired deck with a brand new look.